Oxford Landing Estates is family-owned and committed to making varietal wines that are great value for money. Wyndham Hill-Smith founded Oxford Landing in 1958 on the banks of the River Murray, South Australia. The winery has matured into one of Australia's most innovative viticultural estates, delivering flavours that reflect the unique vineyard terroir. Enticing aromas of milk chocolate and raspberries with subtle cedar and spices. Great with roast lamb, rosemary and garlic. The grapes are from selected fruit parcels on the Oxford Landing block. Warm fermentation allows the best extraction of fruit flavours and tannins for this style of wine. Oxford Landing Estates is family-owned and committed to making varietal wines that are great value for money. Wyndham Hill Smith founded Oxford Landing in 1958 on the banks of the River Murray, South Australia. The winery has matured into one of Australia's most innovative viticultural estates, delivering flavours that reflect the unique vineyard terroir. 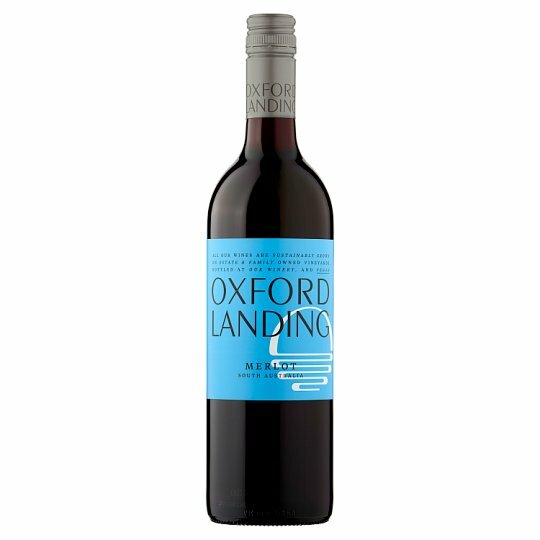 Oxford Landing Estates Merlot is grown on the banks of the Murray River on a range of red sandy soils over limestone. The vines have been strategically planted on well drained sites to produce vines with low yields. To enjoy this wine at its best, drink within 2 years of purchase.